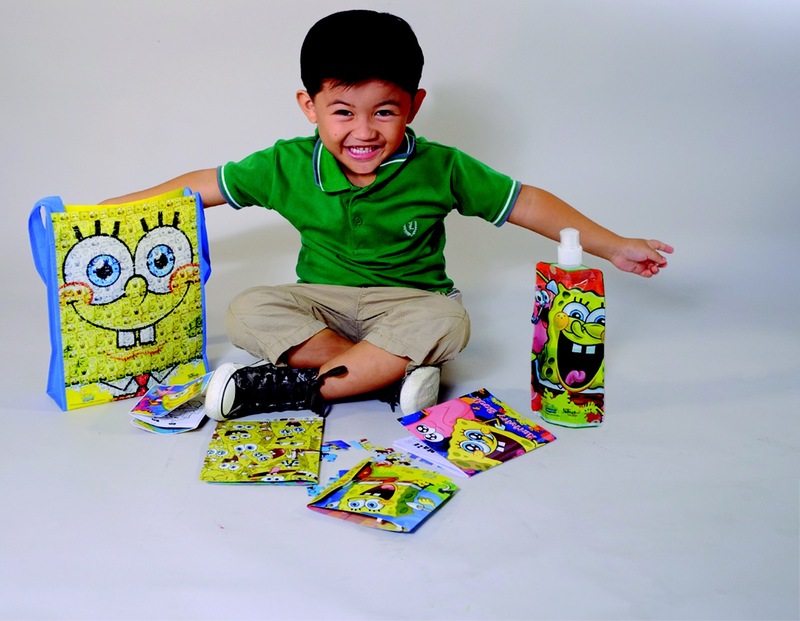 Philippine Airlines welcomes SpongeBob SquarePants to stars in PAL’s Junior Jetsetter kits. 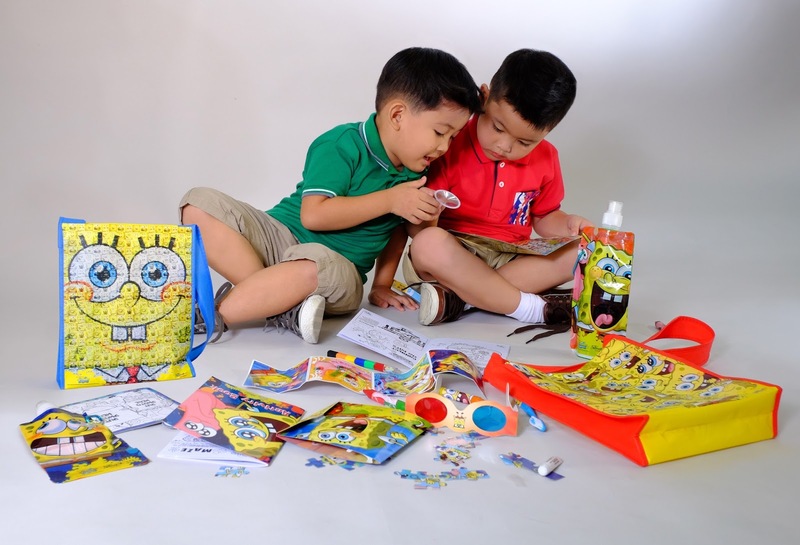 SpongeBob SquarePants, one of the world’s most popular animated figures – to banner its Junior Jetsetter kits this year. The wholesome yellow sea sponge and his band of quirky friends from the fictional underwater city of Bikini Bottom bring their whimsical brand of humor to delight kids onboard PAL long-haul flights via the Junior Jetsetter activity kits. The kits are provided to children from 2 to 11 years old to keep them engaged and entertained on lengthy flights of at least eight hours. 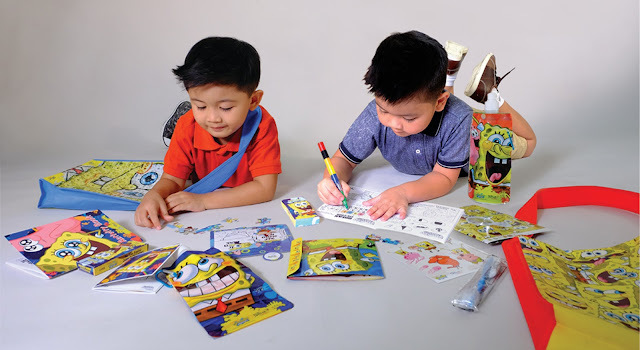 The kits come in two variants, and both contain a set of basic items – activity book, crayons, collapsible water bottle, and dental set of toothbrush and toothpaste – all packed in a colorful, easy-to-carry bag. But what will really kindle the kids’ imagination are creative items such as the 3D activity set with a pair of 3D glasses that allows them to watch SpongeBob come to life. There’s also the “fotobusta” puzzle game which comes with a magnifying glass to zoom in on hidden objects. Ingenuity is further encouraged by the static cling sticker board where kids can conjure up scenes using reusable and removable stickers. Finally, a coloring puzzle picture frame lets them make a keepsake of their in-flight creations. These include PAL services between Manila and North America (New York, Los Angeles, San Francisco, Vancouver, Toronto); Oceania (Honolulu); Australia (Sydney, Melbourne, Brisbane); the Middle East (Abu Dhabi, Dubai, Riyadh, Dammam); and Europe (London). SpongeBob SquarePants first aired in May 1999 and since then has become the highest rated series to ever air on Nickelodeon, the leading U.S. cable television network for children and adolescents. Its widespread popularity has spawned a global media and merchandise empire, with products from films to comic books, music, theme parks and consumer electronics. SpongeBob is viewed in 170 countries and has been translated into 24 languages. The series has garnered much critical acclaim, winning two Emmys, six Annies (for accomplishments in animation), 12 Kids’ Choice awards, eight Golden Reel awards and two BAFTA Children’s awards. SpongeBob succeeds Disney’s Toy Story, who has been mascots of the Junior Jetsetter kits since last year. The new kits start appearing onboard PAL long-haul flights by May 2015.